With winter (mostly) in the rear-view mirror, it’s time to put away puffy jackets and skis and replace them with mountain bikes and hiking shoes. Only 90 miles from Great Falls, Helena is a great location for a quick getaway. 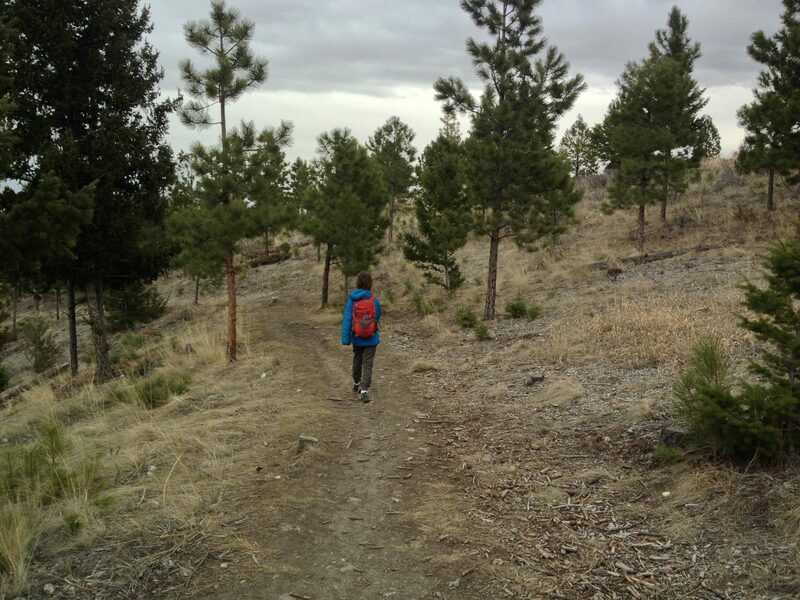 Time to hike and bike Helena, Montana. 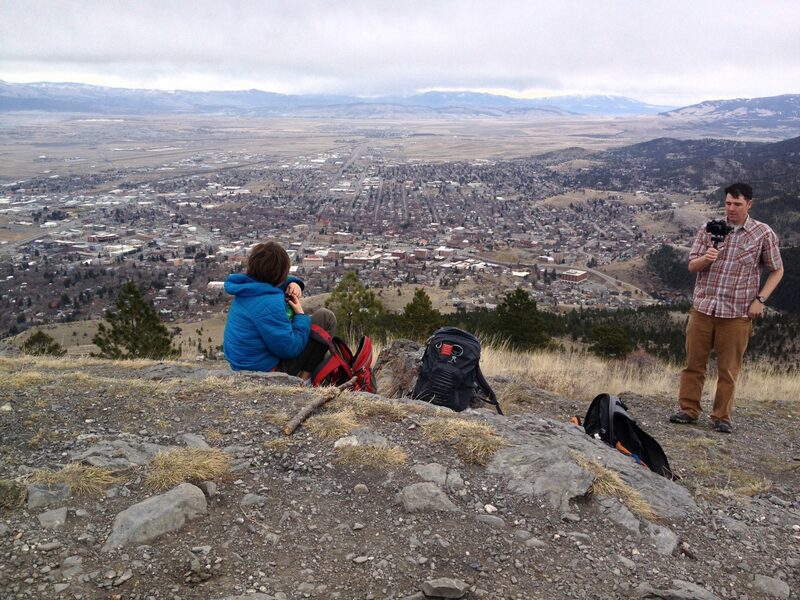 From downtown Helena, outdoor enthusiasts can access 75 miles of local trails. By going farther afield, hikers and mountain bikers can walk and ride many more trails in surrounding national forests. Tim Lynch, manager of The Base Camp, an outdoor gear shop, sings the praises of the South Hills Trails system. “You don’t need to use your vehicle to get there if you don’t want to, and it’s a very valued resource for Helena,” he said. The South Hills Trails are stitched together from a mix of property ownership and land management. They are managed by the Prickly Pear Land Trust for the city of Helena. Mount Helena City Park, within the South Hills, is one of the largest city parks in the country with more than 700 acres. 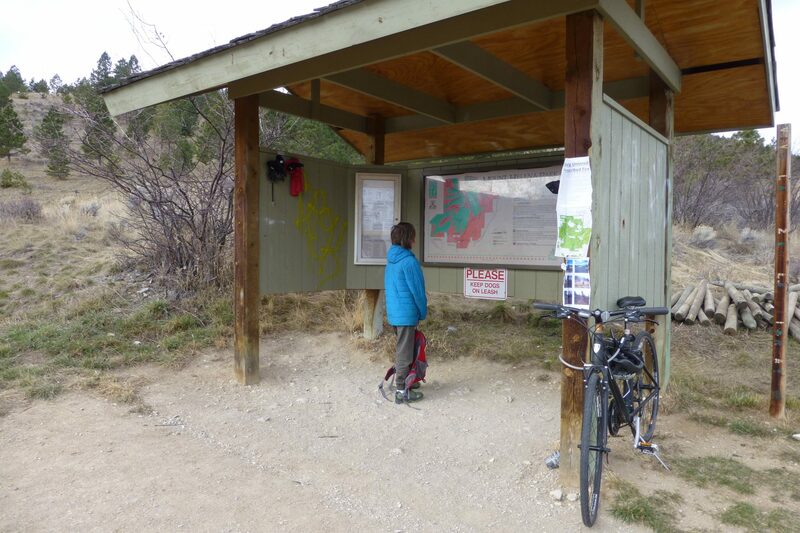 Maps for the South Hills Trails are available at Helena outdoors shops or the PPLT office. PPLT also created an online map app – Helena South Hills Trail Map – found at most online app stores. To ease access to Helena’s trails, Helena Tourism Alliance, with sponsorship from individuals and businesses, coordinates a free shuttle bus. The Trail Rider leaves from downtown Helena to various trailheads starting May 12. With a trailer on the back, the Trail Rider makes it easy to transport bikes as well as people. Check the Trail Rider for a schedule. Beyond the South Hills, and extensive network of Forest Service Trails extends to the Continental Divide. 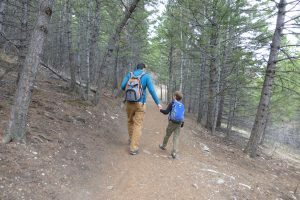 The U.S. Forest Service lists 19 trails in the Helena Ranger District, expanding the hiking and biking opportunities even farther. As you may know, Helena is Montana’s capital city. Do know all the other U.S. capitals? Take this U.S. capital quiz to find out. This large hill can be seen from just about anywhere in Helena and begs viewers to climb to the top. Take the 1906 Trail to the Summit of Mount Helena and come down the mountain via the Hogback Trail to the Prospect Shafts Trail, wrapping around the mountain back to the trailhead. The view from atop Mount Helena. 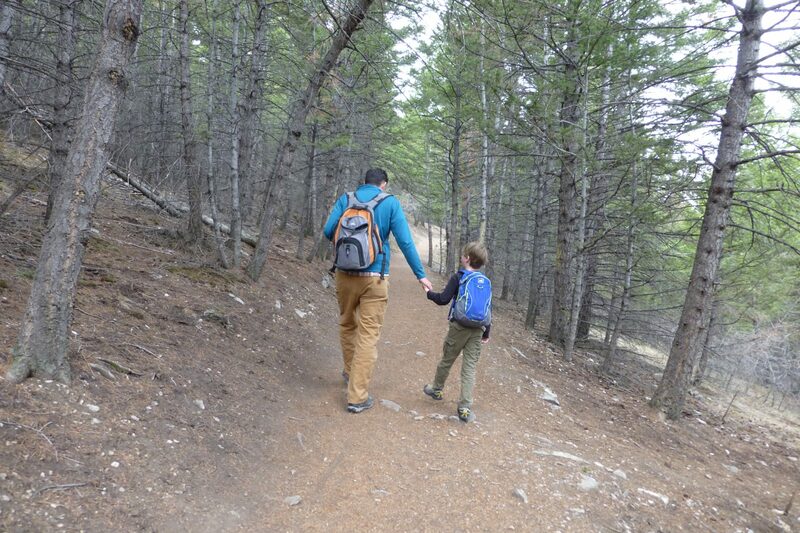 Helena resident Melissa Munson and her family frequently hike the Rodney Ridge Trail. The Rodney Ridge Trail and Rodney Meadow Trail can be accessed from Dale Harris Park, the Old Shooting Range Trailhead, Dry Gulch and the Waterline Trail. The Base Camp’s Lynch recommends the Easy Rider Trail/Archery Range Trail loop for both hiking and biking. There are a few steeper sections, but overall the 1.5-loop is relatively easy. Start and end at Beattie Street Trailhead via Pay Dirt Trail (moderate) or the Prickly Pear Trail (easy) or Eagle Scout Trail (easy). The popular Mount Helena Ridge is a “really great run, hike or ride,” Lynch said, with views of the Elkhorn Mountains, Big Belt Mountains, the Continental Divide and Helena. Several sections of rocky, technical terrain and a couple of short tough climbs in either direction add to the fun on this trail. Shuttle or ride it as a loop using Grizzly Gulch Road to Prospector Gulch Road. Start and end at Dump Gulch Trailhead or Mount Helena Trailhead on the north or Park City Trailhead on the south. Located within the Gates of the Mountains Wilderness northeast of Helena, Refrigerator Canyon lives up to its name by staying cool year-round. The 9.1-mile trail begins off Forest Service Road 138 and ends at the junction with Big Log Gulch Trail. The first quarter-mile is truly spectacular as it enters a narrow canyon with 200-foot high limestone walls. Be prepared to walk through the middle of a small, shallow stream here before continuing on to switchbacks and a big meadow. This easy walk in the Elkhorn Mountains features a gradual elevation gain of 1,300 feet on the route to the meadow. The 4.3-mile trail (one way) begins at Forest Service Road 294 and ends at the junction with Horsethief Park Trail. The trail lies within a grazing allotment and it isn’t uncommon to see cattle along the trail. The moderately strenuous trail takes hikers and mountain bikers up over a ridge and down into a narrow, high-walled canyon. After winding under a limestone arch the trail ends at the lip of a dry waterfall 500 feet above the trees of Trout Creek Canyon. The 5.8-mile long trail (one way) begins at the Vigilante Campground 24 miles northeast of Helena and ends at the Hanging Valley Overlook. A version of this story originally appeared in the Great Falls Tribune, May 4, 2016.